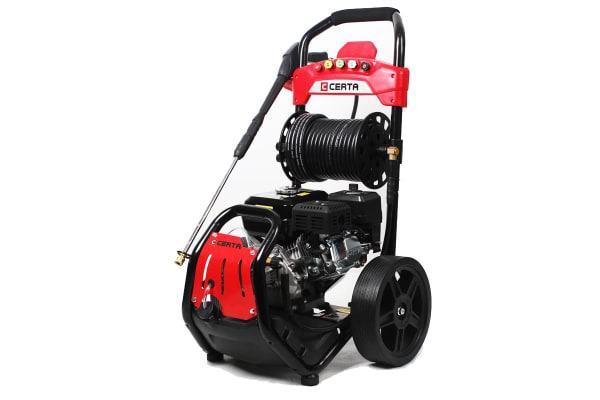 With a thumping 6.5HP and powerful 4-Stroke OHV engine producing a massive 4.8kW of power, this pro-quality petrol high pressure washer blasts through tough dirt and grime with effortless force and minimal water. 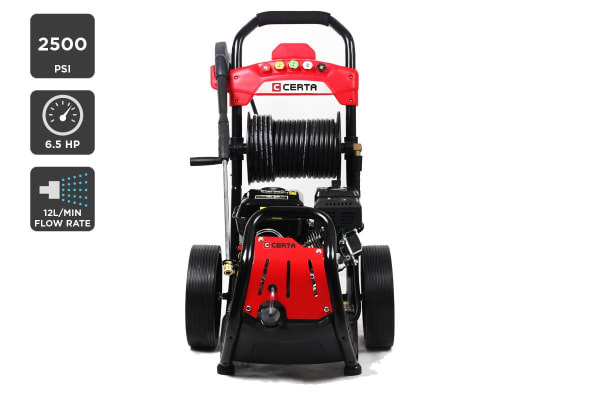 The powerful Certa 6.5HP 2500PSI Heavy Duty Petrol High Pressure Washer can produce an impressive 2200PSI of continuous pressure, making quick work of tough dirt on your car, mould growing on your roof and grime at the worksite. 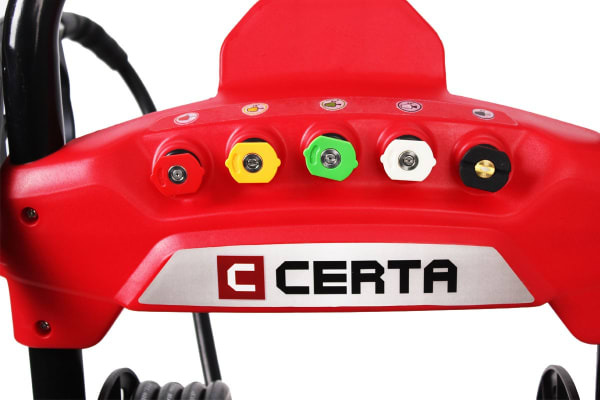 Simply switch to any of the five pro-tip nozzles to go from a light cleaning with the soap nozzle and built-in detergent tank to more heavy duty footpaths with the wide spray. Unlike electric pressure washers which are limited by power cords, this robust washer navigates easily across uneven terrain with a rugged trolley frame, oversized 12” solid rubber wheels and extra long 20m pressure hose helping you to get pro-worthy cleans no matter the time, place, or surface.